Does Running Relieve Brain Fog? Exercise is a simple way to reduce symptoms of brain fog. Whether you have trouble concentrating or just feel a little scatter-brained and out of it, brain fog can happen to anyone for a number of reasons. Although it might be tempting to try to think your way through this condition, lacing up your running shoes and pounding the pavement is a better way to quickly restore your mental clarity and improve your overall health. Because brain fog is somewhat of a slang term, it doesn't have a strict, medical definition. On his website, Dr. Lawrence Wilson, M.D., defines brain fog as a condition characterized by confusion or a lack of mental clarity. When you have brain fog, you might have trouble concentrating or remembering things. Some people might even experience depression. Wilson notes that some people live with a degree of brain fog for much of their lives, while others only experience this condition at certain times. The extent of brain fog varies among people and can have a wide range of causes. Dr. Wilson reports that causes could include a mineral imbalance, exposure to toxic metals and digestive issues related to the consumption of foods such as wheat and sugar. Other causes of brain fog, as outlined on the Care2 website, could include high stress levels, chronic issues such as fibromyalgia, excessive fatigue and a deficiency of vitamins such as vitamins C and E.
Give running a shot if you're dealing with a bout of brain fog. 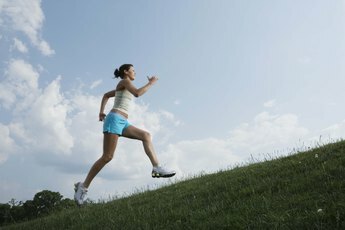 MayoClinic.com reports that exercise sends oxygen-rich blood and nutrients throughout your body, which can quickly give you an energetic feeling. In an article in "Runner's World," University of Maryland researcher J. Carson Smith, Ph.D., notes that running triggers the growth of nerve cells and blood vessels. A "Fitness" magazine article explains that physical activity helps expand the part of your brain responsible for memory and learning. Each of these effects can help lift your brain fog. Taking a run whenever you feel the symptoms of brain fog is a simple way to clear your head and boost your mood through the release of endorphin hormones. Even when you don't have brain fog, exercising regularly is ideal for optimal health. Each week, adults should try to get at least 150 minutes of moderate aerobic exercise, according to the U.S. Department of Health and Human Services. Can Running Help Your Digestive System? 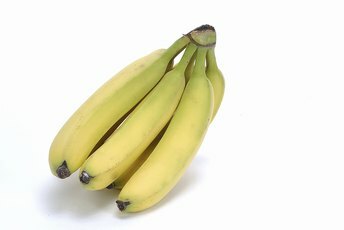 Why Is Potassium Important to Neural Function? Does Running Affect the Central Nervous System? Does Dehydration While Running Cause Leg Cramps?